The recent document Google’s Advanced Search Operators by @dmrussell has a nice, compact overview of Google search operators. Since the author works at Google, it’s also a reliable source – make a note of it! <quote> Stars in site search. A search like [ site:*.law. *.edu ] will find all of the .EDU sites with “.law” in the domain name. Also try: [ site:*.nyc.gov ] will match all of the NYC.gov sites with a subdomain. Also: [ site:*.nasa. * inurl:education ] gives lots of good clues about education sites at NASA. 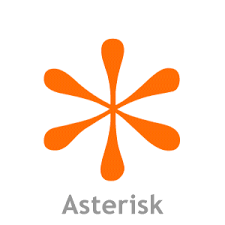 As we know, the asterisk (or star) can be used instead of a keyword, as a “fill in the blanks” operator. This is the first time though that I see documentation on using the asterisk * in combination with the site: operator. In several of the above examples, using site: vs. inurl: allows to reach better precision – e.g. P.S. Please note that in response to my post (this one that you are reading), Dan has updated the document Google’s Advanced Search Operators with extra details; see those at the end of the document. I am still not sure we have the full picture though.